The View sits on North West Ridge Road at lot #10. With wide open western views! Beautiful added decking on all sides. The location is wonderful as you are just minutes to Silvercreek or Snowshoe! For slope access you would want to use the free on call shuttle system. They will pick you up right in front of the home and take you where you need to go! 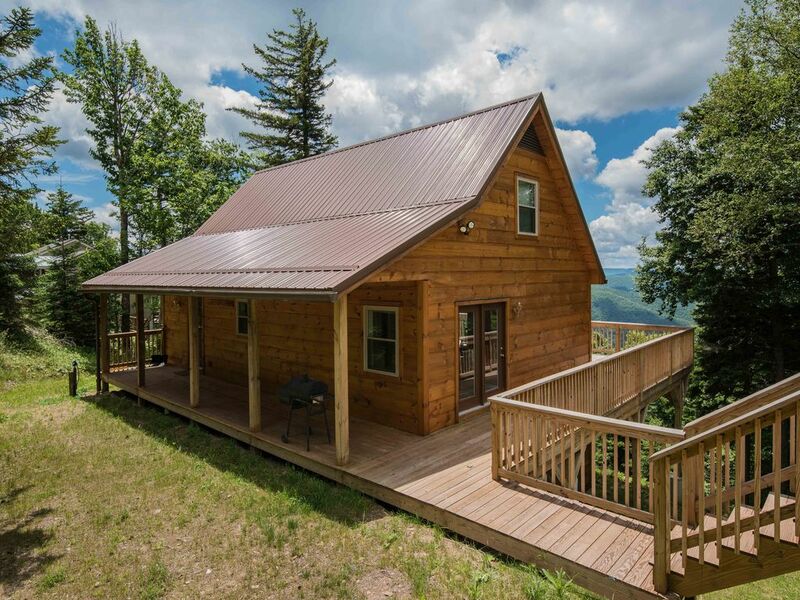 This is a 5 bedroom, 2 bathroom home that accommodates 12 guests with a gas log fireplace and full kitchen. The master bedroom has a king bed. Bedroom 2, a queen. Bedroom 3, a queen. Bedroom 4, pyramid bunk.There is also an additional "living" area downstairs with a galley type kitchen and entertainment room. Come see The View! We had a wonderful experience at this house. The hospitality was great from check in to check out at Mountian Valley Realty. The house was squeaky clean when we arrived and the ammenaties were well taken care of. The WiFi and living room TV could have been a little better but that did not take away from our experience. The shuttle service and hotel were wonderful and the staff and homeowner did all they could to make it a relaxing vacation. Seemed a bit shabby and did not merit its price-tag. Not a single TV in the house functioned. Mattresses were worn-out. I would not recommend this property. The rental was perfec for our group of 7 people. We all had plenty of room, beds to sleep on, and space to stretch out. The basement having an added kitchenette was very convenient. The location was great, very little traffic, easy driveway, and the shuttle was very quick. We took advantage of the shuttle Friday night, and didn’t have any issues getting to the village. The staff at Mountain Valley Realty was great. Britney was very helpful, and went above and beyond expectations. Our only complaint, it was too short of a stay. We will be booking again next year for 3 days instead of 2 days. Great location with stunning views. We had a great weekend at The View. The house was recently updated with new carpet, paint, and felt very fresh and clean. We would definitely recommend. Great! Thank you for taking time to leave a review. We hope to see you again! We stayed here for Christmas 2016. The house is on a quiet street, but only minutes from the village. It's beautiful house with cozy warm rooms. Perfect for a family. The views from the balcony are breath taking. We enjoyed having your family over Christmas! Hope to see you in the mountains again, keep summer in mind!